We made it to the last month of the year. 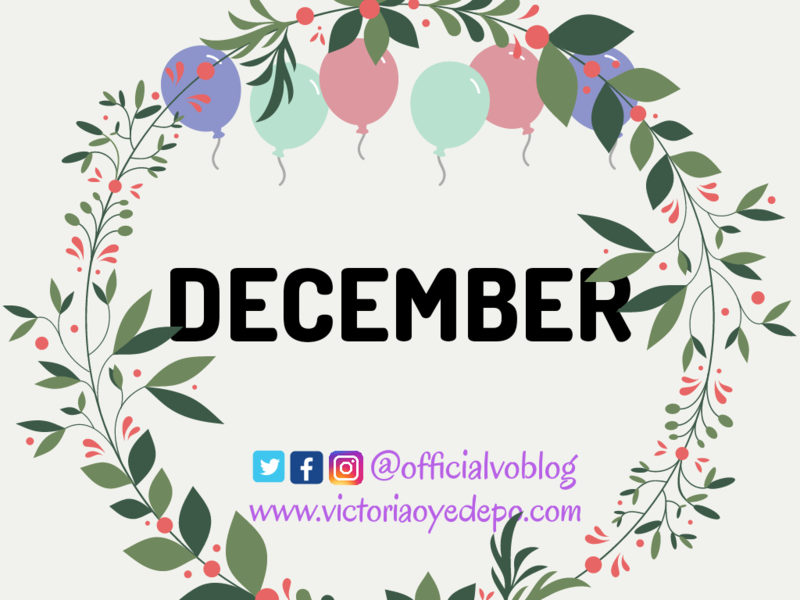 It's December first, Happy new month. My excitement pairs since it's my birth month and somebody dear to me, it's such an honor to impart the month with her. Glancing back at the previous eleven months and how far I have gone ahead this voyage my heart is loaded with gratitude and I will run a gratitude challenge all through December on my Instagram , follow me so you don't miss a thing. I will be using songs to express this. Gratitude nurtures the soul and unlocks the fullness of life, it acts as a remedy for anxiety and depression it allows us to connect deeply to the present moment, it gives us access to an abundance of wealth that may be sitting just an arm's length away and the best part is gratitude is free. If you accept the challenge kindly use the #31daysgratitudechallengevob so I can see it and get your friends to join too. December, as we all know, is special in more ways than one. It's the month of Christmas and with that, the laws of demand and supply kick in with full force. So how about we encourage ourselves and help our businesses? I am opening this for business networking. Five people will be chosen to advertise their business, products, services, and wares for free on here. I'm in for the challenge! And may God bless your good soul. To add dear, I might be unable to jin on IG but I will on WhatsApp. Let the drum rolls. . . The gratitude challenge has started, time to thank God for everything. Drum rolls...Thank you dear, God has indeed been Good.